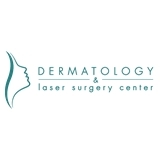 Dermatology and Laser Surgery Center (Fort Lee) - Book Appointment Online! The skin is the body’s largest and most visible organ. Its appearance is intimately connected to your health. The stress of busy schedules, family commitments, and the natural aging process can all take a toll on your skin. Fortunately, help is available. Dr. Olga Goulko is a dermatologist who will help you take care of your skin. She can diagnose and treat a variety of skin disorders; and she also offers a number of procedures that rejuvenate the skin and enhance the beauty of your appearance. A careful and compassionate physician, Dr. Goulko will help you keep your skin smooth, firm, and beautiful.